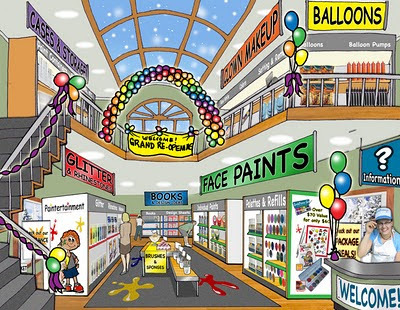 Get 10% Off during Paintertainment's GRAND RE-OPENING! 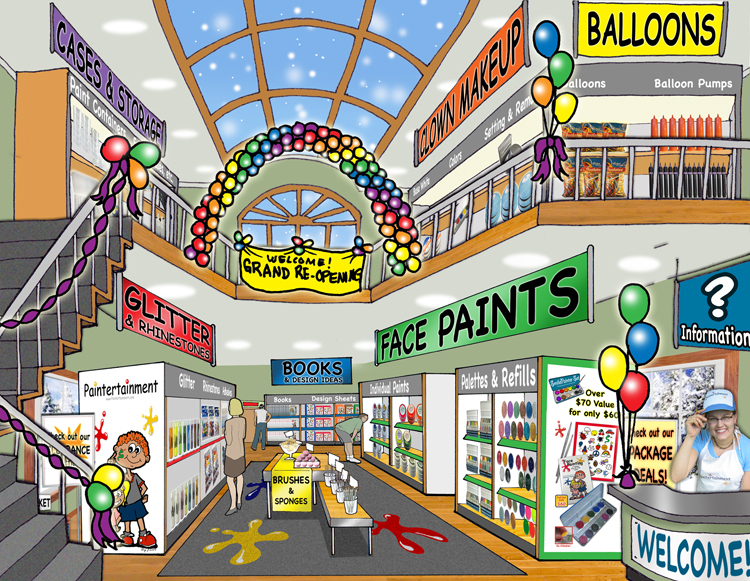 I am very excited to announce Paintertainment's GRAND RE-OPENING!!! We have expanded our assortment of products so much, that we had to build a second story on the virtual store just to display all of the great new items we have for sale! Visit our store today to check out not only more new products, but also entire new assortments! You'll find an all new clown section, with clown makeup essentials like white clown base makeup, setting powder and remover, Supracolor grease makeup palettes, and even rainbow eyelashes! Our new balloon section is a great place to start if you're getting into balloon twisting, with an assortment of balloons and hand pumps. I plan on expanding the assortment of colors soon as well! Got a favorite that you use most often? Let me know, as I'd love to incorporate your feedback! I am not a professional balloon twister myself, although I plan to learn soon. So, I am open to any and all suggestions. Our glitter aisle now has even more "bling," with the previous addition of acrylic rhinestones and two products to affix them...both spirit gum and eyelash adhesive.